Upcoming Fights & Events. Application forms available to download. 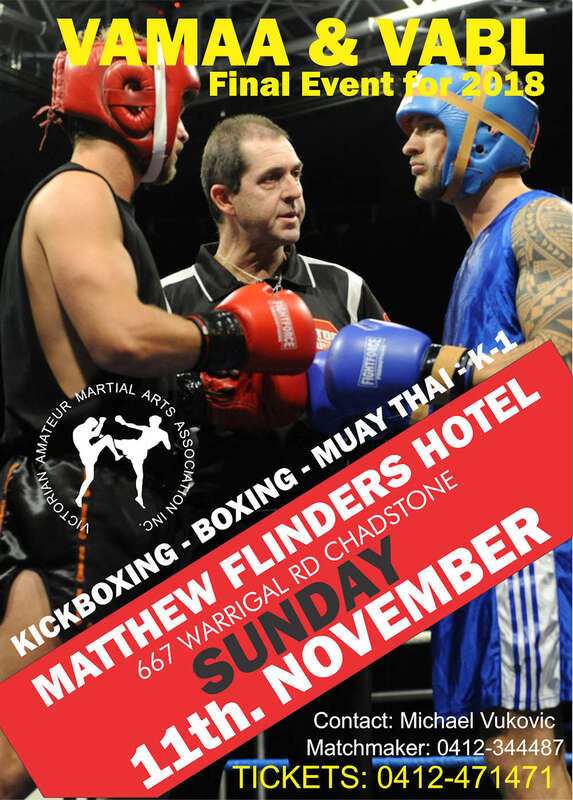 Location: Matthew Flinders Hotel Chadstone.